Have you all seen this Inside the Actors’ Studio? I remember watching it when it premiered, and thinking MAN this guy is fast. It was the first episode of the show to be two hours long, and it was so long because James Lipton refused to cut Robin Williams’ FIVE HOUR long interview any more than that. Also, an audience member had to be taken away in an ambulance after the show due to a hernia from laughing so hard. I can see why. I LOVED Robin Williams. I’d mentioned on Facebook that I was sick a lot as a child, and in the hospitals at night I’d watch Mork and Mindy on Nick at Nite. It was one of the only things I could stand. I was four, it was my first taste of Robin Williams, and even then I was in awe. Don’t even get me started on Aladdin, or Good Will Hunting. Good God, I am crying as I type this. Depression is an ugly beast. I’ve gotten strange looks, I’ve gotten passive-aggressive comments, I’ve gotten laughs and jeers and everything but empathy for things I have published on this blog about the very matter of depression. I’ve had people tell me to dial down the talk about anxiety and depression, because THIS IS A BAKING BLOG AND THE BACKGROUND’S PINK AND SOMETIMES PEOPLE READ THIS. Mind you, the majority of the comments and feedback I receive are positive and understanding, but the ones that are not are really not. And they come from people whom, I suspect, have been fortunate enough to have never experienced the anguish and paralysis that comes with being utterly, frighteningly sad. I cannot and will not compare whatever I’ve experienced with what Robin Williams did; truly, none of us will ever be able to fully appreciate his pain, nor will we ever be able to make sense of his decision to take his own life. That is a deeply personal, scary, and very final decision. People have asked me why I write about being sad so often. I hope it doesn’t seem like the only thing I write about, but it is an important part of who I am. It’s also a part of myself I had no interest in sharing with anyone for a very long time, out of shame and fear. I am thankful to not feel the need to venture to the depths that Robin Williams did, but I sympathize, and I do understand where that pain could take a person. It’s heartbreaking, and it’s even more upsetting to know that so many people think of depression and mental illness not as diseases, but as fundamental personal weaknesses that need to be stamped out and silenced. Depression is chronic, it is forever, it does not discriminate, and it begs to be understood. This is a terrible reason to have the spotlight shone on the issue of mental wellness, but if there is any good to come of the loss of Robin Williams, perhaps it’s that we can continue the conversation, erase the stigma, and come to truly understand one another. *If you or someone you know is experiencing depression, suicidal thoughts, or simply need to speak with someone in a time of distress, call the Lifeline at 1-800 273 TALK. 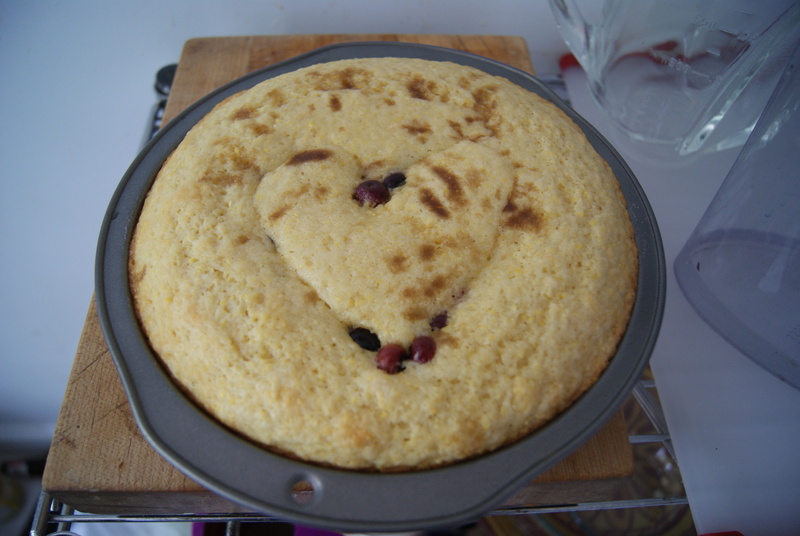 With that, I know this is also a baking blog, and I did indeed bake something that I’d like to share with all of you. I won’t and can’t even attempt a lame segue. 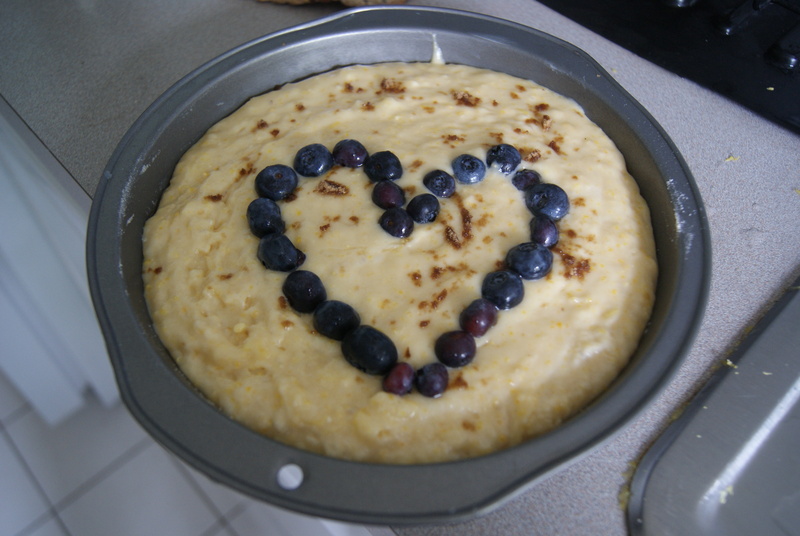 But you should absolutely set aside some time to make this cake, if you’d like. Preheat your oven to 350ºF and grease the bottom and sides of a 9-inch round cake pan; line the bottom with parchment paper. 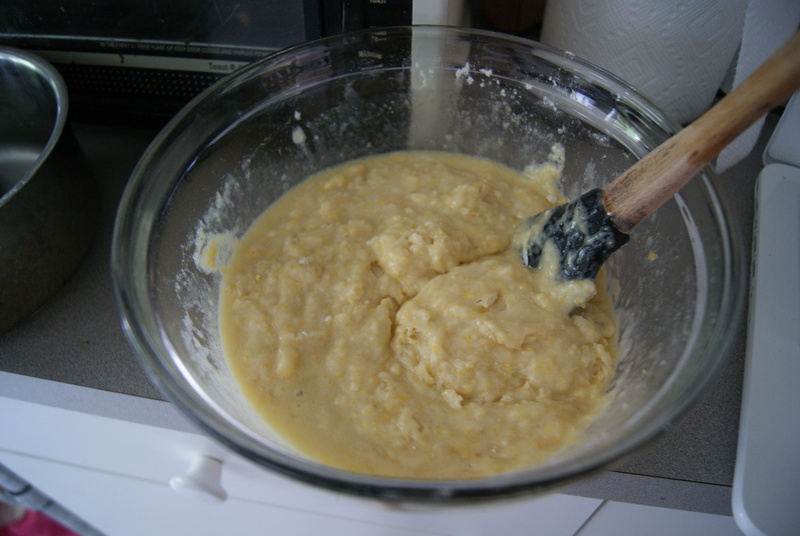 In a large bowl, whisk together flour, cornmeal, sugar, baking powder and salt. 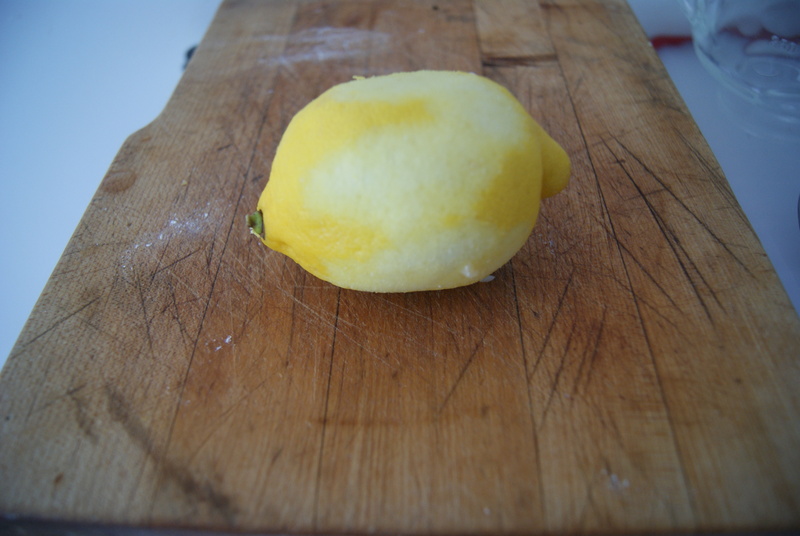 In a smaller bowl, mix together milk, eggs, lemon zest and vanilla. Now, gently fold milk mixture into flour mixture, gently working until batter is created. 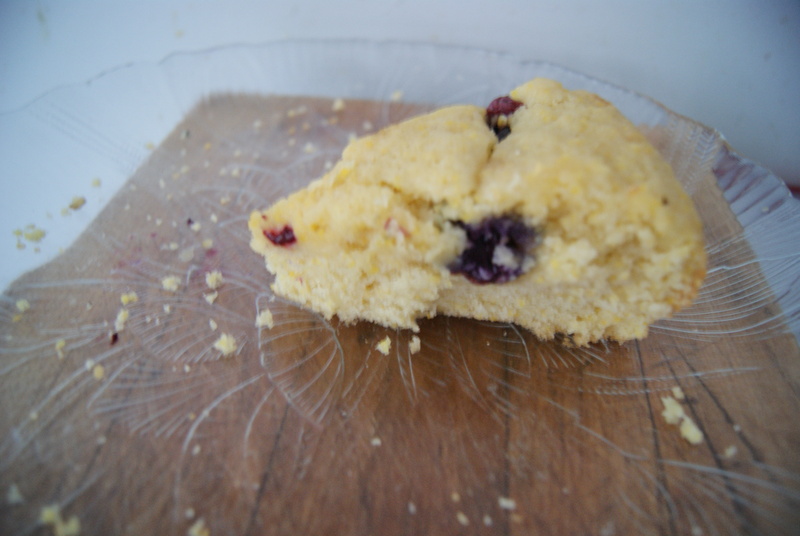 Pour batter into pan and spread evenly (add blueberries if you like). I also sprinkled a bit of brown sugar on top just for fun… because that’s my idea of fun. 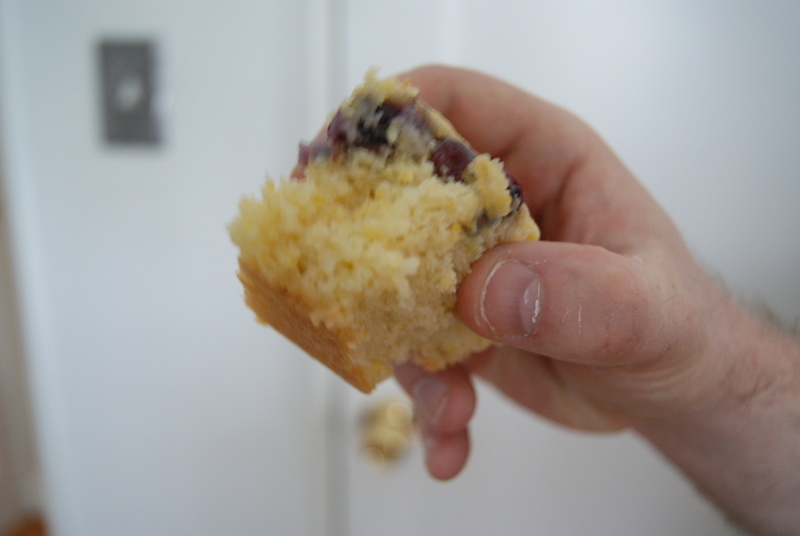 Bake for about 30 minutes, until a cake tester inserted into the middle of the cake comes out with just a few crumbs. The blueberries nestled in quite happily. 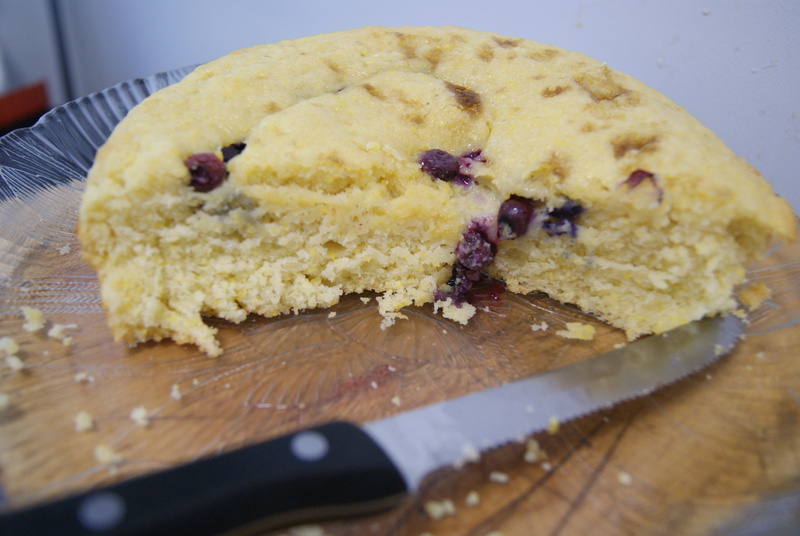 Let cake cool for 10 minutes, then run a knife around the sides and invert onto a cake plate. Let cool completely. AND THEN DIG IN, BECAUSE THIS BUSINESS IS GREAT. And then the next day when I checked on its progress, I found the above. Also, reposting this at the bottom in case it got lost above: *If you or someone you know is experiencing depression, suicidal thoughts, or simply need to speak with someone in a time of distress, call the Lifeline at 1-800 273 TALK.